A) You may schedule our instructors to travel to your business or home to present a class at your convienience. B) You come to an OPEN previously scheduled class. 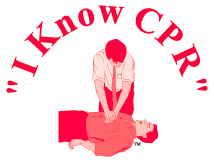 Please call at 360-651-7502, or email: info@iknowcpr.com.